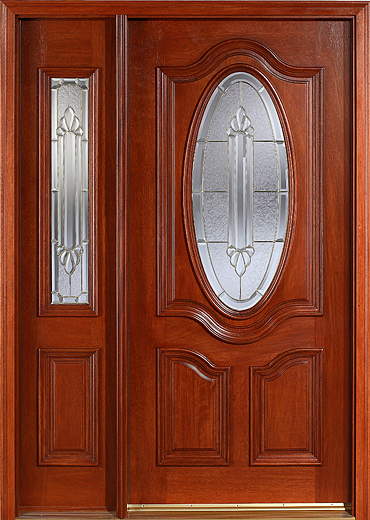 Mahogany doors are the perfect complement to homes with a traditional or colonial style. 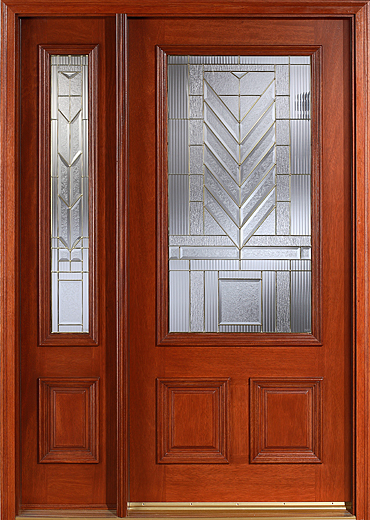 With a rustic charm and old-world feel, these doors achieve an appearance that is simultaneously eye-catching and classic, making them the ideal choice for homeowners looking to add a truly special accent to their residences. 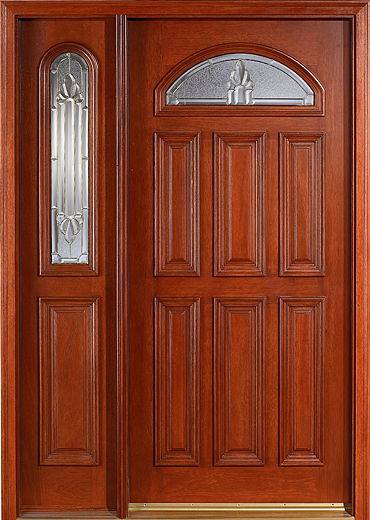 If you’d like to have a mahogany entry door installed, make the most of your investment by turning to Main Door Corporation. 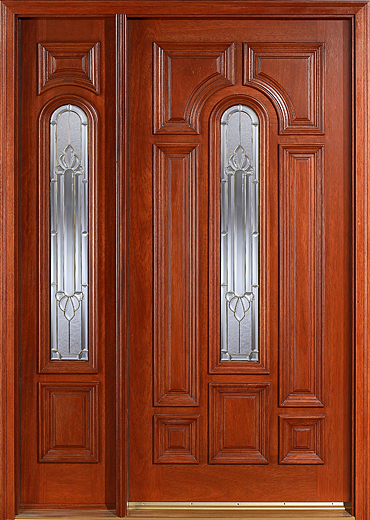 Since 1996, Main Door has manufactured mahogany doors and entryways of other excellent wood species, using only the finest materials and fabrication methods. 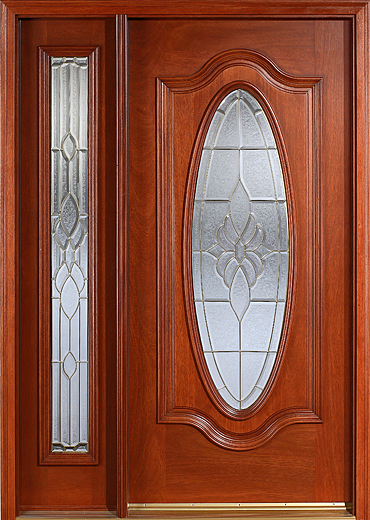 We take pride in utilizing a combination of time-honored hand craftsmanship and state-of-the-art woodworking technology to ensure that each door we create is exceptionally durable and beautiful. 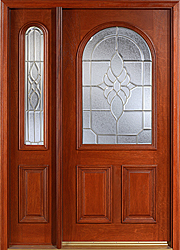 As part of our rigorous quality standards, we only make front doors out of solid wood with no veneers. 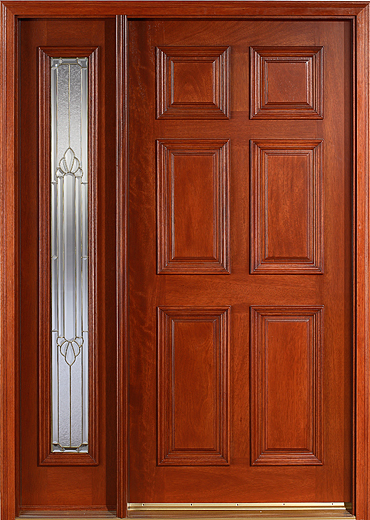 Not only does this mean that all of our doors feature gorgeous, natural grain variations, but also that our customers don’t have to worry about the hassles that accompany cheap veneers, like peeling and delaminating. 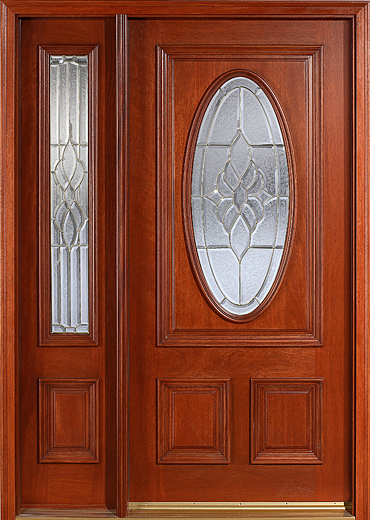 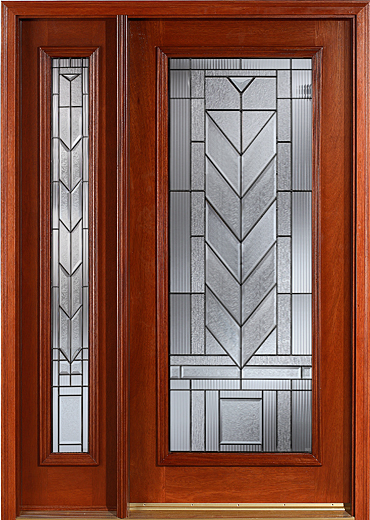 Because Main Door Corporation is an exclusive partner with The Home Depot, it’s easy for you to see our mahogany doors in person. 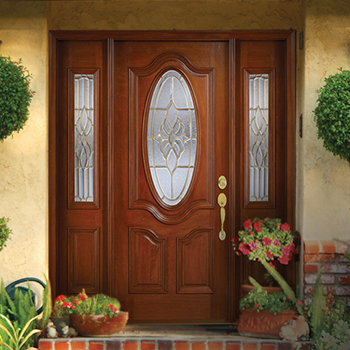 To learn more about our products, contact us today or visit a Home Depot store near you.